I usually associate sardines with Garfield cartoons, but I have major news: That can of sardines that’s been hiding in your cupboard for months is actually amazing for your dog. Sardines are loaded with nutrients like omega-3s, vitamins D and B12, amino acids (the stuff that makes up protein), and coenzyme Q10. You already know that dogs can benefit from many healthy, human grade foods we put in our diets, and sardines are no different. Simply adding a few sardines to your dog’s regular meals once a week can help develop muscles and other connective tissue, boost his immune system, increase dental health, and protect against kidney disease. They’ll also keep him looking dapper, as omega-3s help fur stay nice and soft. Small fish, big benefits. 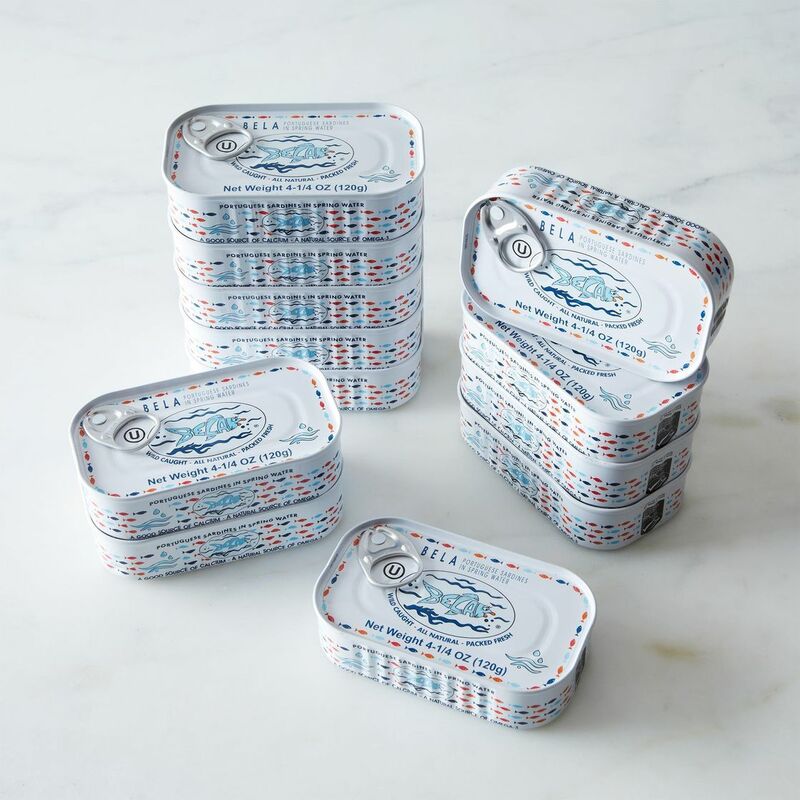 What sets sardines apart from other fish? These babies are small, which means they have less mercury content than other fish, diminishing the risk of poisoning. Sardines are also soft-boned, so you can usually feed them to your pup whole, which makes for added convenience. Just pop the can (as long as it’s salt-free and packed with water or a natural oil like coconut, olive, etc.) and add a couple to your dog’s bowl. A few sardines a week (one for smaller dogs and two a day for bigger breeds) is plenty. If you happen to have fresh sardines lying around, good for you! Just watch those bones, as your dog will have a hard time chewing and digesting them. Have you ever given your dog sardines? Tell us how it went in the comments section below! I have a seven month old Goldendoodle (62 pounds). She gets one can of sardines (packed in water) two days a week (Monday and Thursday). She gets them as a treat. SHE LOVES THEM! FAT FREE MILK (enough to a little more than cover the oats). – stir and put in microwave for two minutes. Stir and then place in microwave for another minute. – let stand for two minutes, then topped off with 1 teaspoon of cottage cheese and 1 teaspoon of apple sauce (a little more for larger dogs). I separate mine into three bowls, the smaller amount going to the smaller dogs, before I add in cottage cheese and applesauce. My dogs love this!! Just thought I would share….